the differences between an amateur pet sitter (hobby sitter) and a professional. A professional pet sitter has chosen pet care as their career path and has an unwavering commitment to practicing their craft. This means that there will be absolutely zero distractions (another job, social plans, etc.) that could take away from their ability to focus on your pet and their care. Another advantage is that a professional pet sitter will be available 365 days a year. That means you can schedule your vacation or other plans when YOU want. In the case of the unforeseen, a professional can accommodate that too! Finally, what would happen if your sole sitter canceled or became ill? When you hire a professional pet sitter, there are several backup plans in place at all times. Murphy’s Law is inevitable, and a pro will be the Boy Scouts of the pet world! If it can be imagined, it’s probably happened and a professional will have a protocol in place. Would the kid down the street know what to do in the event of a pet or home-related emergency? Would they even be available or have the ability to handle it if you couldn’t get home in time? Let’s talk about the elephant in the room: the price tag that comes along with a professional service. Although it’s a labor of love, there are still costs involved. Professionals remain legally compliant, belong to professional organizations, adhere to a strict code of ethics, and protect clients with liability insurance and bonding. Employees are thoroughly screened before hire and undergo regular training to safeguard pets and ensure their health, safety, comfort and beyond. Peace of mind isn’t free when it comes to any other service, why should a qualified and responsible pet sitter be any different? First of all, it’s important to consider your pet’s health and personality and to be honest about the decision to bring them on vacation. Some animals can become agitated and stressed easily while others simply can’t physically handle the rigors of travel. Your vet can offer insight into your pet’s fitness for your particular travel plans. In the end, no one knows your pet better than you. If you decide a vacation without your furry family member just wouldn’t be the same, it’s important to prepare them. Examine your itinerary and accommodations carefully and try to simulate that in the weeks or months leading up to your trip. For example if you’re traveling by car, start with short trips. Gradually increase the time as your pet becomes accustomed to it. Air travel is harder to mimic, but you can control the time of year you fly (airlines will not accept pets on the tarmac outside the temperature range of 45-85°F) and teach your pet to accept a crate beforehand. 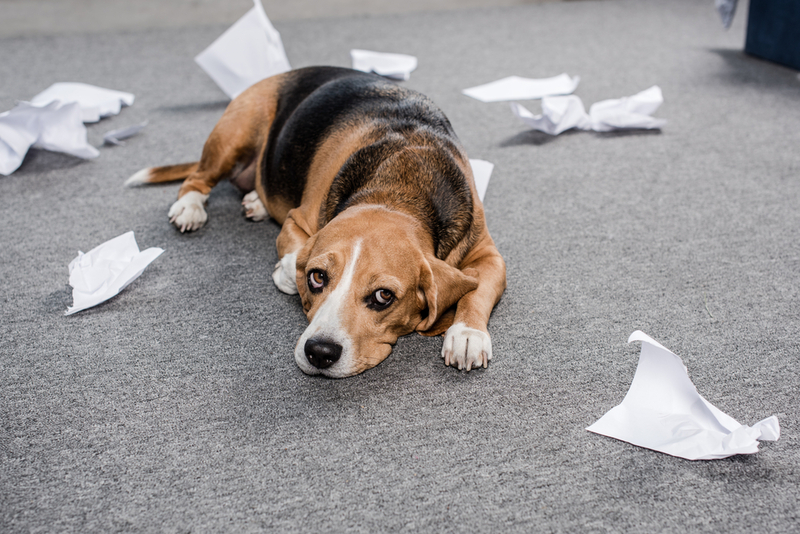 Basic obedience training will go a long way as unruly pets pose safety hazards to other people, pets, and themselves no matter the mode of travel. Invest in a quality and well-fitting collar and leash, crate, and current I.D. tags. Keep pets on leash or safely confined at all times as it only takes a moment for a pet to cause a traffic accident or go out of sight. Unfamiliar surroundings can cause a pet to become disoriented and struggle to find his way back to you. If the worst should happen, I.D. tags will offer some hope for a safe return. Unfortunately, many pets lost during travel aren’t reunited with their families so it’s up to you to be extra vigilant! Pets thrive on routine and familiarity. The scenery might be changing, but keeping life as he/she knows it will help alleviate travel-related stressors. Packing favorite treats, toys, and bedding are easy ways to make your pet feel more at home on the road. Other essentials to include are a pet first aid kit, health records, and extra prescription medications. For the ultimate pet travel checklist, click here. Finally, remember to factor in frequent rest stops; they are a great opportunity to observe your pet’s overall demeanor, get some exercise, re-hydrate, and refuel your bodies. Be certain to inquire well in advance about policies, procedures, and fees regarding pets when securing air travel and lodging accommodations. Failure to do so can result in unexpected costs and delays which can derail your vacation in a heartbeat! International travel poses another set of challenges because each country has its own laws and regulations, so checking official embassy websites is essential. Remember those health records you packed? Be sure to keep them handy throughout your journey for inspection to avoid delays. What’s Best for Your Pet? Traveling with your pet doesn’t have to be a nightmare if you’re set up for success using these pet travel tips. Whether you choose to bring your pet along or not, we can help! At Marinette DOG Nanny, we offer pets an opportunity to release energy and enjoy companionship while you’re attending meetings and events while travelling. For pets that are unable to travel or those most comfortable staying at home, we provide regularly scheduled visits that are customized to all types of needs, routine, and preferences. Let us ensure your plans are stress free when it comes to your furry family members traveling, or not. Visit our website for more information today! 4 Proven Boredom Busters for Your Pet! The winter solstice has come and gone and although the days are getting longer, we are smack dab in the dead of winter. 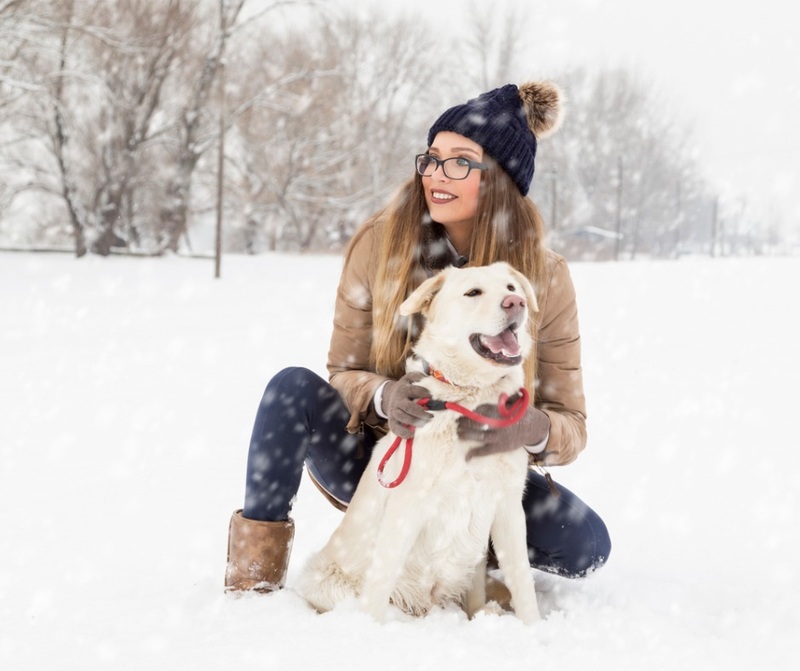 The extreme temperatures and snow don’t lend themselves well to romping around, sniffing, or doing any of the other outdoor activities your dog craves. Spending significantly more time inside takes a toll on their mental and sometimes physical health. If you’ve got a dog with any more energy than a slug, you know exactly what I’m talking about! 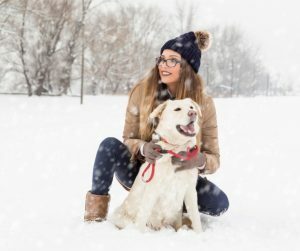 Let’s explore some winter boredom busters and keep your pets safe, happy, and healthy until their paws touch grass once again. Exercising your dog indoors may seem tough, but it just takes a little creativity. Playing tug is a great full body workout and contrary to popular belief, it doesn’t cause aggression. Rope toys are perfect for this game. Do you have stairs? Make use of them by throwing toys upstairs and asking your dog to retrieve them. Nothing beats a game of hide and seek- it’s classic fun and will keep you (or the kids) busy! Don’t forget the cat- they love a good game of chase. Skipping treats across the floor rarely fails. Foraging for food is a natural behavior, and your pet will literally eat it up! There are so many interactive and food dispensing toys on the market that there is bound to be one your dog loves. The experimentation process can be a lot of fun, but we find that Nina Ottosson toys and Kongs are best sellers for a reason. If you don’t have toys, you can hide treats or pieces of kibble around the house for your pet to find. Cats love searching for treats, and we often hide them in kitty towers to encourage exercise. If you have a multiple pet household, make sure everyone has a separate space so no one feels the need to compete! Winter time is the perfect time for bonding. We bet your dog would be a willing participant in helping you practice some basic canine massage techniques or taste-test the many wonderful DIY treat recipes the internet has to offer. Learning a new skill or trick is a great confidence booster, and you never know where it might lead you. You may find you have the next agility, obedience, or nose-work superstar on your hands! As professional pet sitters, we have all these tricks up our sleeves and so much more! We understand behavioral problems stem from lack of stimulation and that being cooped up in the house for extended periods of time (i.e., a long work day) invites trouble no matter the season. Winter is the perfect time to try out a dog walker! Let us venture out into the snow and cold for your pet’s potty breaks and exercise. We’ll take advantage of the midday sunshine and offer your pet a safe way to release all of that pent up energy. It really is the ultimate way to avoid the winter blues. Contact us today! Fido is your best friend, fellow adventurer, and snuggle buddy. Why not add personal trainer to his resume and exercise with your dog? He’ll never cancel plans, make excuses, or pass judgment. Whether you want to feel the burn or squash your inner couch potato, your pet is the key to your success. Here’s how your hound can help you shed those pounds and have fun at the same time. Before beginning any exercise regime, it’s important to consider your dog’s health, breed, temperament, and training level. Always mind your dog’s comfort and safety. Should he become an unwilling participant for any reason, it’s time to stop and reassess. In today’s fast-paced world, it’s easy to slack on one of the most important self-care aspects- your diet. Making healthier food choices will allow you to feel better overall and give you more energy to tackle your workouts. Trying new foods with your dog can be really fun! Have you seen those viral videos of dogs trying broccoli and cauliflower? Be sure to do your research on what foods are safe if you choose to experiment together. If your walks are becoming part of the daily grind, take a new route! The pace will naturally increase (as will your heart rate) when your dog takes in the new scents and sights. For an added challenge, sprinkle in intervals of walking and jogging between blocks or navigate some hilly terrain. This activity will tire your dog’s brain and body so you can do your post-workout stretches in peace. For the more high energy duos, agility may provide the thrills you seek. Emphasis is placed on communication between handler and dog as they race around a course navigating tunnels, poles, and hurdles. It’s a killer cardiovascular workout and an adrenaline rush to participate in this fur-flying, crowd-cheering sport! your workout the day before? Do some yoga to relax your muscles. No matter what you choose, your best friend will be there to cheer you on and your bond will be stronger because of it. How do you incorporate your dog into your healthy lifestyle? Share it with us in the comments!